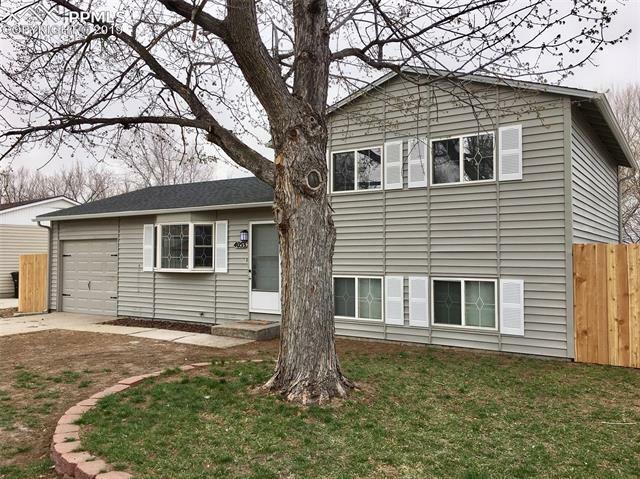 Completely updated tri-level conveniently located to Ft Carson, I-25, shopping and restaurants! Inside is gorgeous 3 bedrooms and 2 baths. Large back yard, New flooring throughout with ceramic tile in baths and kitchen. Updates include new paint inside and out, carpet, ceiling fans. Kitchen and bathrooms have been completely updated. Kitchen includes granite counter tops, and stainless steel appliances. Large yard with views of the mountains. A must see!!! Washer/dryer included.